Earnings season marches on, and two big reports have shaken up the stock market today. The Dow Jones Industrial Average (INDEXDJX:.DJI) is down 79 points, or 0.54%, as of 2:10 p.m. EDT. Today’s earnings releases from Dow components Verizon Communications Inc. (NYSE:VZ) and UnitedHealth Group Inc. (NYSE:UNH) have investors headed in opposite directions with these stocks, while one major disappointment from earlier in the week continues to haunt the market. Let’s check out what you need to know. Verizon Communications Inc. (NYSE:VZ) started the day off on a high note when the company topped Wall Street projections, sending the stock up 3.3%. The company reported net income of $0.68 per share and $1.95 billion total, climbing more than 15% year over year and topping analyst EPS expectations of $0.66. Revenue jumped more than 4% to beat analyst expectations as well. 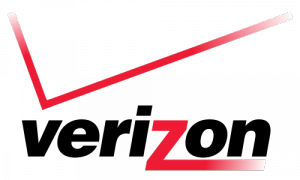 Verizon Communications Inc. (NYSE:VZ) has easily outpaced its competition in expanding its LTE network. In more negative news, however, iPhone activations fell 33% in the quarter. The trend didn’t hurt Verizon, but it could mean that the company can no longer rely on customers snapping up Apple Inc. (NASDAQ:AAPL)‘s products as quickly as they once did: The activation decline outpaced last year’s by nine percentage points. Investors weren’t so pleased with UnitedHealth Group Inc. (NYSE:UNH), however, and disappointment over the company’s earnings sent the stock plummeting by 3.9%. UnitedHealth actually beat analyst expectations with earnings of $1.16 per share, but the firm also lowered its full-year revenue projections to $122 billion from a previously announced range of $123 billion to $124 billion. Analysts expect $123.8 billion in full-year revenue and $5.5 in full-year EPS, which UnitedHealth could have a tough time matching — particularly as health care reform approaches and shakes up the insurance industry. However, one of today’s losers continues to be haunted by its earnings announced earlier in the week. Shares of Bank of America Corp (NYSE:BAC) have fallen 3.1% today to rank among the worst Dow laggards after yesterday’s announcement that it missed analyst EPS estimates by $0.03, reporting earnings of only $0.20 per share. The miss was a big loss for Bank of America Corp (NYSE:BAC)’s stock, which dragged down the entire financial sector yesterday. While the company has done a good job improving its capital position and cutting costs since the recession — efforts that led the stock to double last year — it’s still facing declining revenue from its mortgage and trading businesses. On the other side of the Dow, The Procter & Gamble Company (NYSE:PG) is helping the market stave off worse losses, with its stock jumping 1.1%. P&G’s not on earnings watch today, but investors have bought into the company’s plan to ask suppliers to wait longer for payments — a move the company said could free up to $2 billion in cash. That’s not chump change, even for a company as large as The Procter & Gamble Company (NYSE:PG), and with consumer budgets tightening due to sequestration, the payroll tax hike, and a slow-growing economy, this company could use all the cash it can get. The article How Earnings Have Hit the Stock Market Today originally appeared on Fool.com. Fool contributor Dan Carroll has no position in any stocks mentioned. The Motley Fool recommends Apple, Procter & Gamble, and UnitedHealth Group Inc. (NYSE:UNH). The Motley Fool owns shares of Apple and Bank of America.